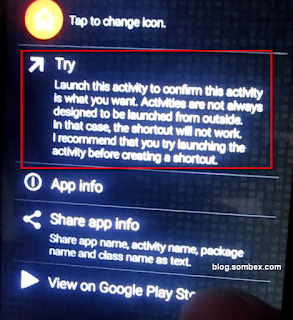 There are several ways to remove FRP (Factory Reset Protection) Lock on Gionee's Android Phones. 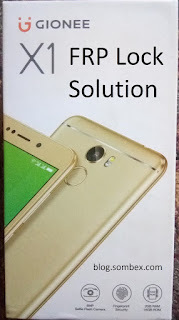 In this post we will be guiding you on how you can remove the Google Account Lock or FRP lock on Gionee X1 and X1s. Before that lets know a little about FRP Lock. Why does FRP lock exist? In simple words, FRP exists to protect the users personal data form unauthorised hands. 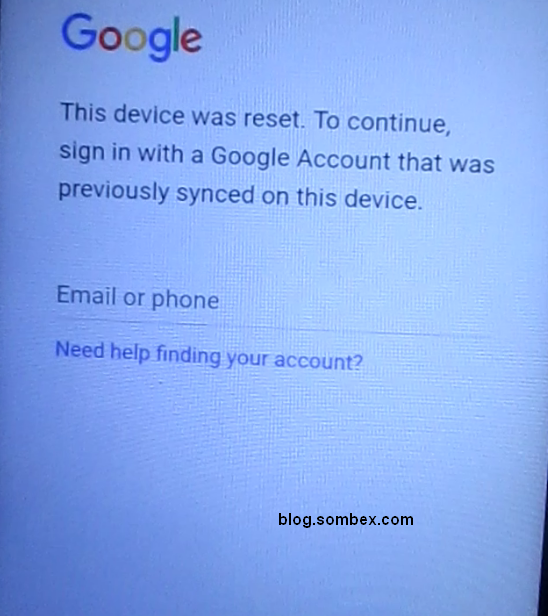 When someone resets an Android phone which is connected to a google account, then the device simply requires them to login with the same google account and thats how FRP lock works. Now the real issue is this that the user can easily forget their Google account credentials and get themselves locked out of their own device. 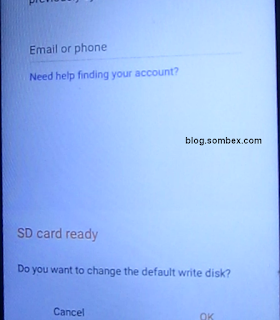 And thats when you will need to remove/bypass FRP lock on your device. 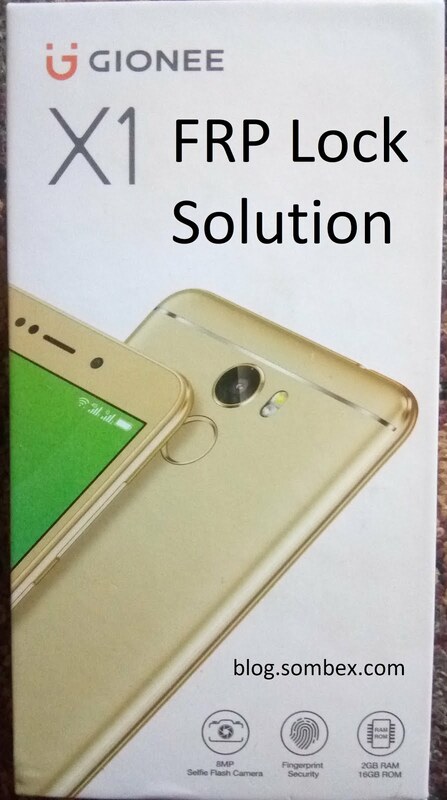 Both device X1 and X1s comes with Android 7.0 Nougat and this guide will apply for both device to remove FRP lock. To remove FRP we will use the popular method named Quick Shortcut Maker Method. In this method we will find a way to intall the app on your device and through that app we will open the settings and do a factory reset. After that your FRP will be gone. A video tutorial is available at the end of this article. And thats all we need. 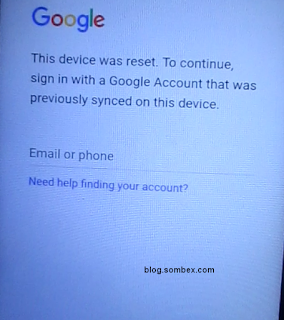 Now connect to the internet using Wifi or Mobile data and goto the screen where you need to enter your google account and password, like in the pic below. 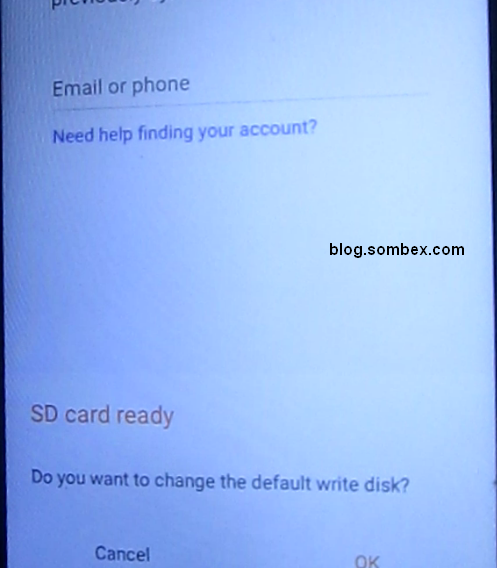 Now open the back cover your device and then insert the Memory card with the apk on it without turning off the device. Now a notice will open on your screen (like the pic below) saying, "SD card Ready"
Tap on OK and then your Phone and Memory card will be shown. Now Tap on your memory card. After that File Manager will be open. Now locate the qsm.apk in your memory and install it. Before installing you will need to "Allow Installation form Unknown Sources" option. Video tutorial available at the end of this tutorial. Now that you have installed the app, just tap on open and when the app opens goto "Applications" tab. 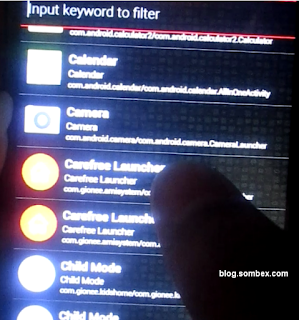 Find "Carefree Launcher" on the list and click on it. After that click on "Try" button. After opening the Carefree Launcher, go to Settings>>More settings>>Backup and Reset. And do a factory reset. After that your device will take around 5-10 minutes to bootup and your FRP will be gone. After doing as on step 5, your device will now allow you to use new google account or to just skip it. Now your FRP is gone. I hope that this article is really helpful for our readers. If in any case you were unable to follow this article or faced any issue, just comment down below and i will help. 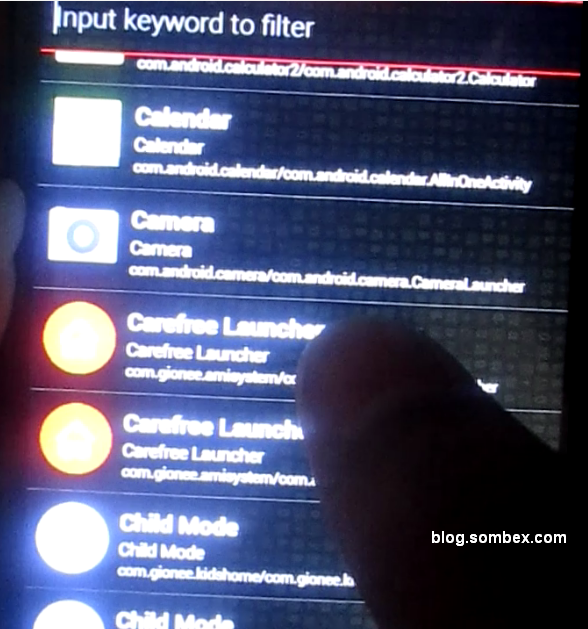 And also here is a video tutorial on how to remove FRP on X1 and X1s. sorry but, there is currently no public exploits to root gionee x1/x1s.